We will cover your lower lashes with a soothing gel pad to protect your lower lashes during the application. You then relax with your eyes closed. Based on the size of your lashes, we choose the appropriate silicone pad size to “lift” your lashes and apply lash glue which is water soluble. Our Aestheticians will then brush back the lashes to the silicone pad and apply the specialized eyelash perming solution. The perming solution is then removed with q-tips and a neutralizing solution is applied. Should you chose to tint your lashes, we will then apply the tint. The entire process takes about 45-60 mins and you are back to your normal routine. Yes. Lashes are lifted onto our specially shaped lifting silicone pads. Our Aestheticians have been trained and certified on this treatment. No. The treatment is a gentle solution that curls the exsiting lashes for up to 8 weeks. 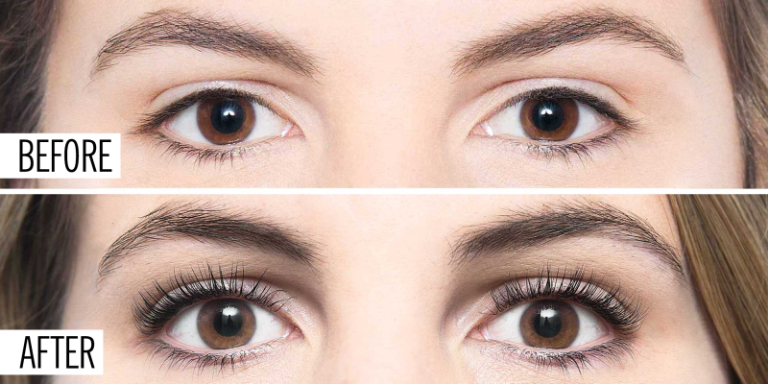 We recommend patients use Latisse to lengthen lashes to provide an even fuller look prior to treatment for optimal lashes.